Paper Crafts by Candace: Another Egg-scuse for Chocolate! If you're looking for the Anniversary Amore Blog Hop please click here. Now that Valentines Day is over its time to officially start with the St Patricks Day and Easter crafting!! I decided to kick it off with this cute little Easter Treat box!! 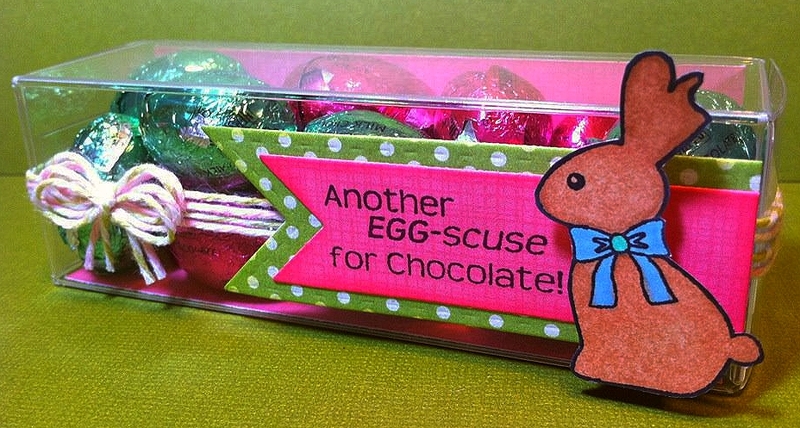 I used Easter Treats stamp set for both the sentiment and the chocolate bunny. 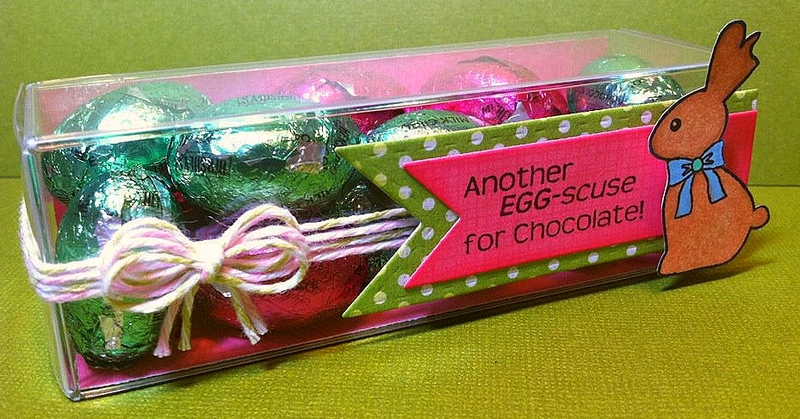 I also used the clear boxes that we have in the store and filled it with 15 chocolate foil eggs. I colored the bunny with my Copics. tooo cute chickie! love love !!! Very cute, love the bunny!! these are so cute. i think i will borrow your idea and make these for my grandkids teachers. thanks for sharing. Wow! You are so prepared. I haven't even thought of Easter yet. Super cute!